For the past weeks, among the relevant jobs performed at Zamakona Yards in Canary Islands, there was the docking of the OSV Guard Celena. Guard Celena is 53.8m long Offshore Supply Vessel that operates on the western coast of Africa. The vessel belongs to norwegian company Tananger Offshore AS, that it provides support vessels for offshore seismic jobs and stand-by vessels for offshore installations. The works performed included painting of the hull, cathodic protection, reconditioning and repairing the propeller, main engines general overhaul, rudder works and deck machinery repairs. Some minor jobs including valves, piping, chain cable, anchors …. were also included. We´ll keep you informed. Regards. On Saturday, September 7 , the launching of IZARO was held at the premises of Zamakona Yards in Bilbao. This vessel is a tuna freezer of 1,900 m3 and belongs to the Echebastar Group. The investment is 30 million Euros and the delivery is scheduled for January 2014. This is the first ship of a new generation of tuna fishers, designed and developed by the Naval Engineering Department. Cintranaval – Defcar SL in cooperation with Echebastar. The ship is designed for tuna fishing by the system to purse seine of fishing grounds in the Atlantic, Indian and Pacific ocean. The vessel has a single controllable propeller and 20 tanks for freezing and conservation of tuna. Four of them will be used for ultra freezing. Fish will be held in tanks and by a system of immersion in brine, the tuna will subsequently be preserved dry frozen in the same tank . To facilitate fishing operations an onboard passive stabilization system is installed. The vessel will have accommodations for 40 people as indicated on the General Arrangement Plan. It will also have nursing for three. 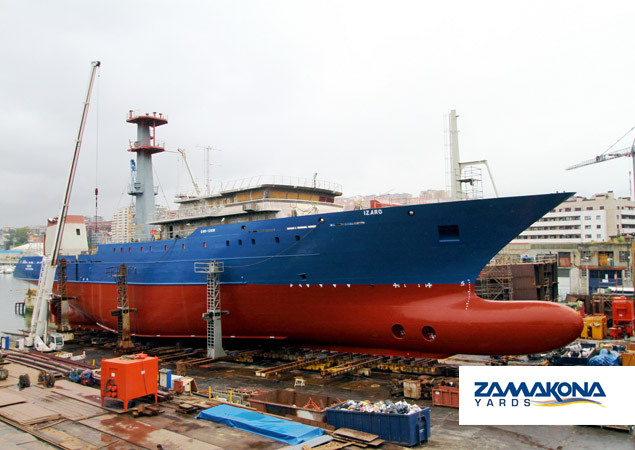 “The construction of this ship is to Zamakona Yards a transcendent fact in the history of the shipyard. We thank Echebastar Board for putting their confidence in our yard and we insurance that we will meet and exceed all expectations for this project.” said the President of Zamakona Yards D. Peter Garaygordobil. 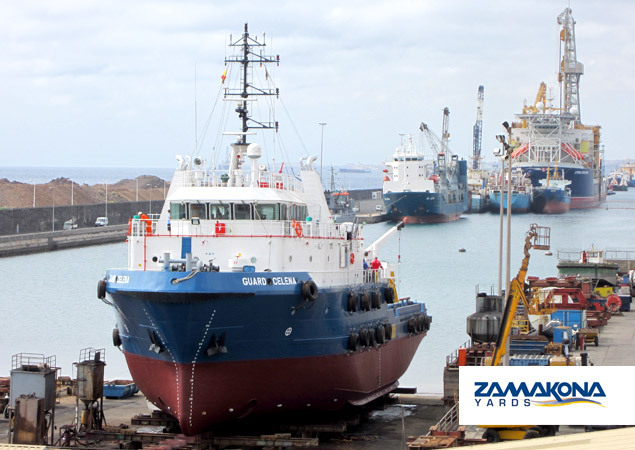 Zamakona Yards has an extensive list of references regarding fishing vessels, offshore, cruisers, etc.., positioning itself at the forefront of European shipbuilding.